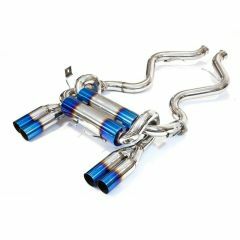 The item listed is a cat back exhaust system for the BMW E92 M3 Series. 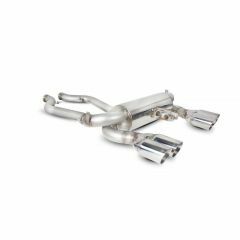 It is professionally mandrel bent and TIG welded out of 304 Grade Stainless Steel in order to provide a more free flowing system, gaining both power and torque as well as an enhanced sound that is true to the character of the M3. The bore diameter of this system is 2.5 inch. Please see the video below in order to hear the sound of the exhaust. 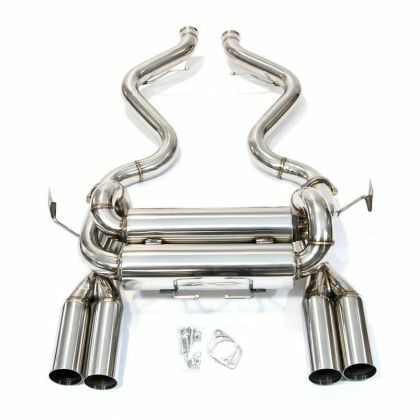 The item features- Rear Section (Catback Exhaust System) Only x4 304 Grade Stainless Steel 3.5" Slash Cut, Stainless Tailpipes Includes all clamps and fittings required to fit the vehicle We are always keen to add to our collection of video clips- please let us know if you take any!